Reading is an essential skill, and it is important that it is taught early on. In order for children to do well in school, it is imperative that their literacy skills are adequate or at least measured before they begin any academic training or instruction. It is common for children to struggle when it comes to learning new things, but some struggles are more significant than others. Some children may be reluctant readers and may simply need encouragement, whereas other children may have other problems that prevent them from reading at the level that they should – and it is vital that parents figure out why their children are struggling with reading as soon as they possibly can. Did you know that about 40% of children struggle with reading? Luckily, with early help most issues can be addressed and overcome, but unfortunately many parents wait a year or more before getting help. This is usually because parents may not be fully aware of why their children are struggling with reading or they believe that their kids simply just don’t want to read. Whether your child does not wish to read and needs to be nudged in the right direction, or whether your child has dyslexia or other related reading disorders, it is important that it is addressed early. In either case, your child may suffer as a result and fall behind. The longer a reading issues goes unchecked, the more difficult it will be to reverse and correct. 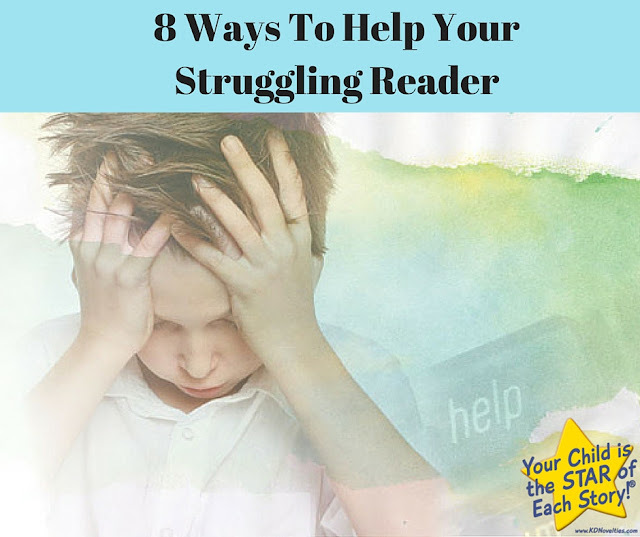 There are some ways you can help struggling readers. 1. Acknowledge Your Child’s Successes. As a parent, it may be difficult to look at anything other than your child’s reading skills especially when they factor in so much when it comes to other skills and abilities. But by focusing on your child’s other strengths, you can help instill a powerful sense of self-esteem that will help them develop the confidence to get better at reading and any other skills they may need to learn along the way. 2. Set realistic goals. If your child has problems reading, they are not going to overcome the difficulties overnight. It is important to set realistic goals and milestones and to celebrate each one as they come. 3. Don’t limit your child. Poor reading skills can affect other skills as well, namely spelling, but even if your child is a bad speller do not let this setback keep them mute. It is important that children learn to express themselves and communicate, and it is an important skill that they need to learn early on. Waiting around for their reading or spelling to get better will not change things, so it is important that you help them write in any way that they can. You can use a dictionary, practice self spell-check and other skills that they can apply to their writing afterwards. It is important that kids learn to get their thoughts on paper and that they understand how to properly express how they feel. 4. Share your own difficulties with your kids. If your child is feeling down on themselves for their reading problems or disabilities, it can be discouraging, even if you keep encouraging them to improve or if you congratulate achievements in other areas. They want to hear how you overcame your difficulty, make it real for them so they can associate with the problem. 5. Read aloud. Even if your child has issues reading on their own, reading along with them or to them can be incredibly beneficial. Reading aloud can help bolster their language skills and it could also help spark interest and creativity as well. 6. Take care in the small strides. Having a struggling reader is not easy and the journey may be a long one. Kids who have trouble reading do not usually get better all of a sudden, but they can develop skills slowly over time. Help your child with these smaller steps, help them go over the alphabet, help them sound out words, play games with them including the labeling of your groceries to the signs on the road. 7. Remember that it is okay to read slowly. Kids who have a hard time reading, especially those with disorders, may be especially slow readers, but slow reading is not a bad thing. Remember that your child is working at their own pace, and that the way in which their brains process and understand information is what is best for them. If your child needs a little more time to read or get through a sentence, it’s okay. 8. Make sure that you’re a team. Reading problems and other learning disabilities don’t have to be private affairs. By letting family members and teachers in on the struggle, they can help form a supportive team for your child. By working at home and at school, your child can make huge improvements and can feel better about themselves and motivated to improve. SPECIAL NOTE: With struggling readers let them choose the books they want to read to entice them to read more and help with the situation. Books personalized for kids can boost their motivation and even forget that they have a problem to begin with since they will be so engulfed in reading about themselves. It always helps to take their mind off their problem while still working on it without them really noticing. Get creative! Are you watching what your child eats for snacks?